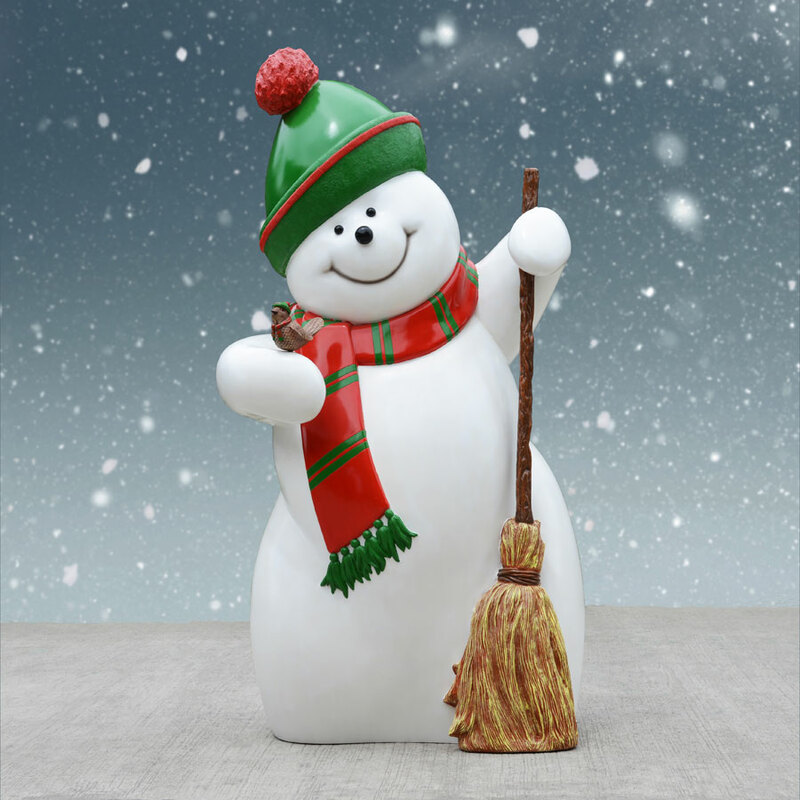 Snowman with Broom, Touque & Scarf - 64in. Standing 64in. 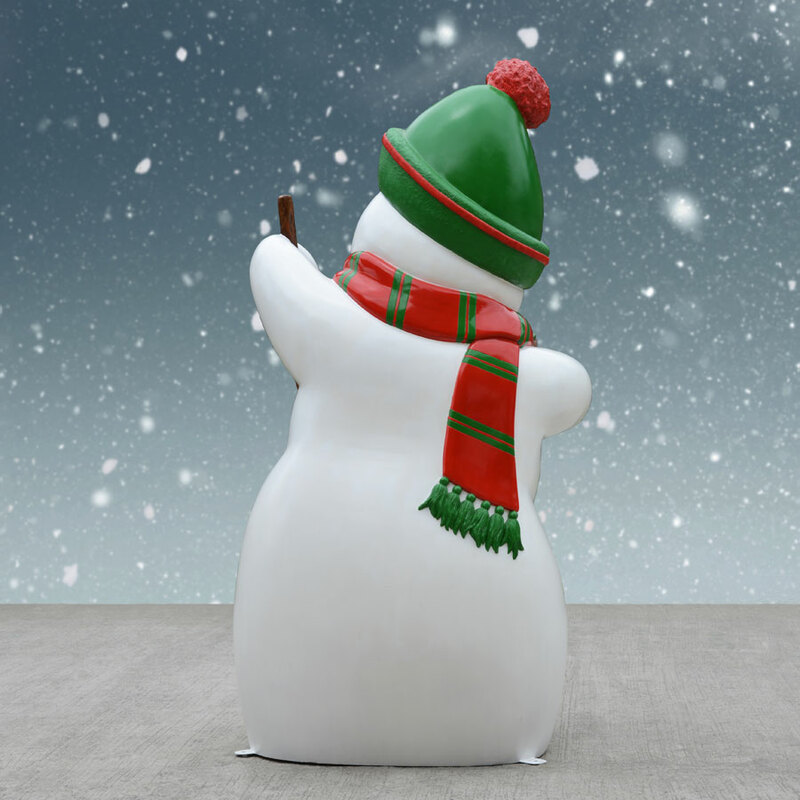 tall, this life-size snowman statue makes for a stunning display during the holidays. While he's a great size for businesses like shopping malls and movie theaters, many homeowners enjoy having this charming fellow in their very own front yard. 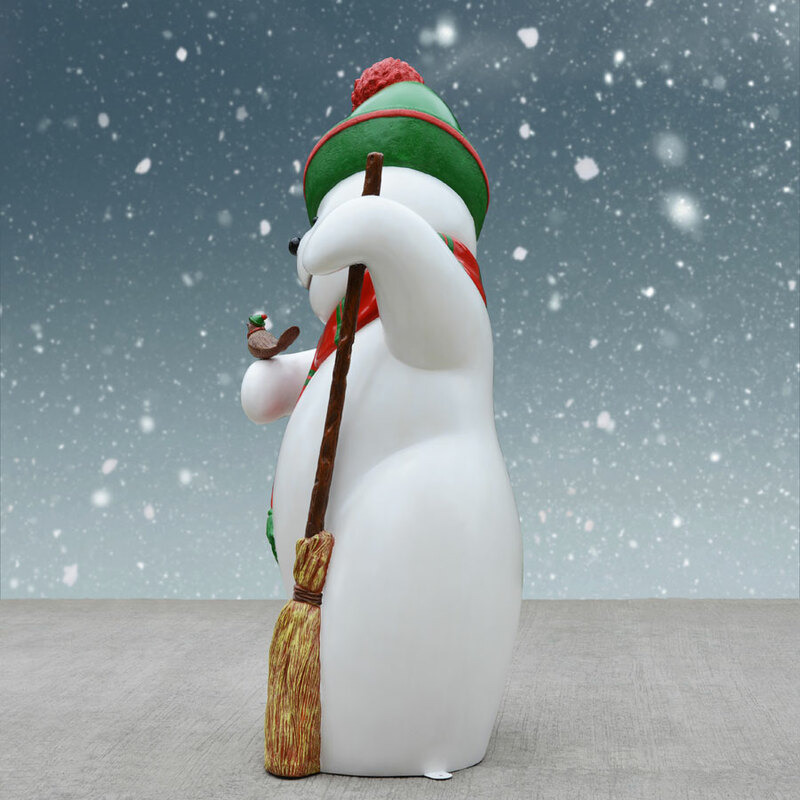 This statue is made from high-quality fiberglass and finished with a durable topcoat. Dimensions: L 34in. W 24.75in. H 64in. Shipping dimensions: L 40in. W 40in. H 70in. Make sure product is not in standing water, or covered with snow as this will soften paint and cause paint to separate from product. Clean figure with a damp cloth. A non abrasive surface cleaner such as Formula 409 glass can be used for stubborn spots or bird droppings. Store covered in a dry location. When setting up product make sure figure is stable and will not be blown over by the wind. Mounting plates are provide for securing to the ground. On a hard surface Santa can be attached to a heavy wood board or platform. The cutest snowmen I have ever seen or purchased! My only drawback is: I wish they came in a larger size. Would purchase this product again when available. Item was well packed for shipping purposes. A+ Rating!